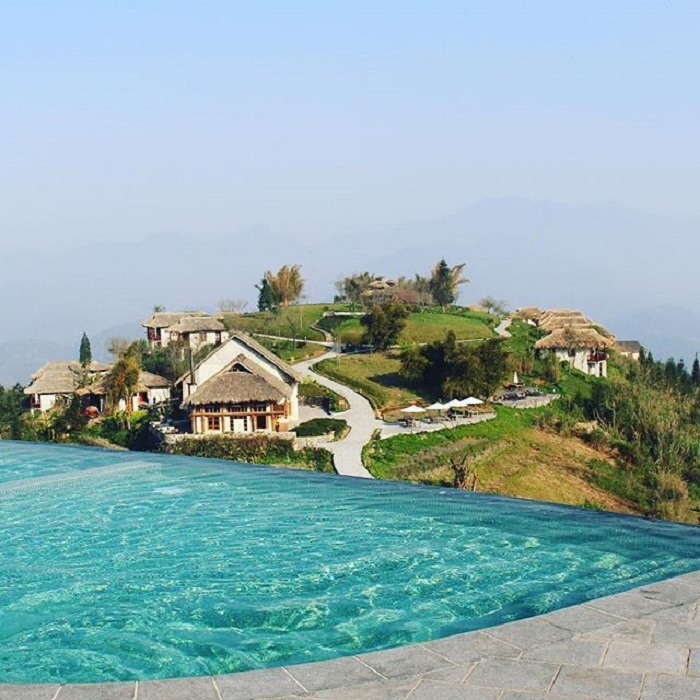 Located in Ban Lach Village, 18km from Sapa Center, Topas Ecolodge is one of the most favorable resorts in Sapa. The resort is nicely tucked away with majestic mountain view and only the sound of nature – crickets, birds and other insects. The resort has 33 bungalow, built as rustic chalet-style single bedroom houses from local white granite. 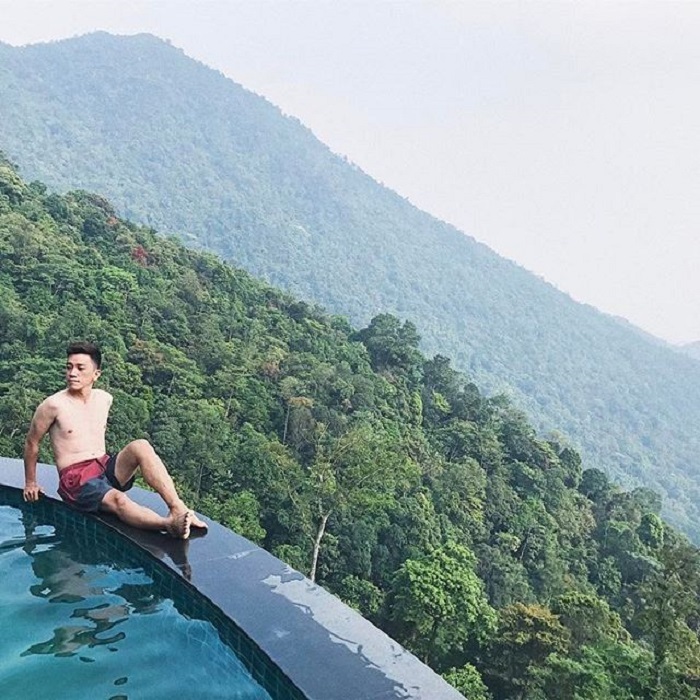 Each of our bungalows presents a casual style with a private balcony, from there you can enjoy the magnificent view of the towering peaks and endless valleys dotted with ethnic minorities’ villages. 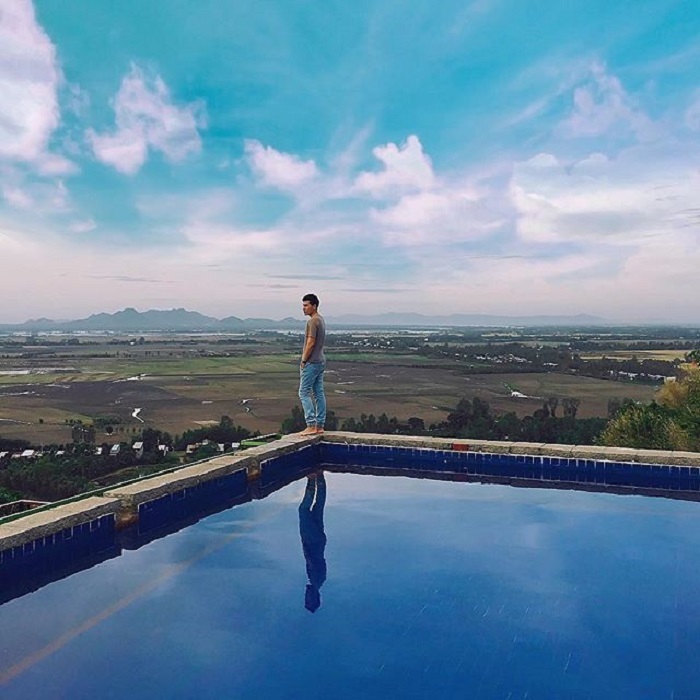 A perfect place for touring in the surrounding area hiking or biking or just relaxing from the noisy and busy city life. 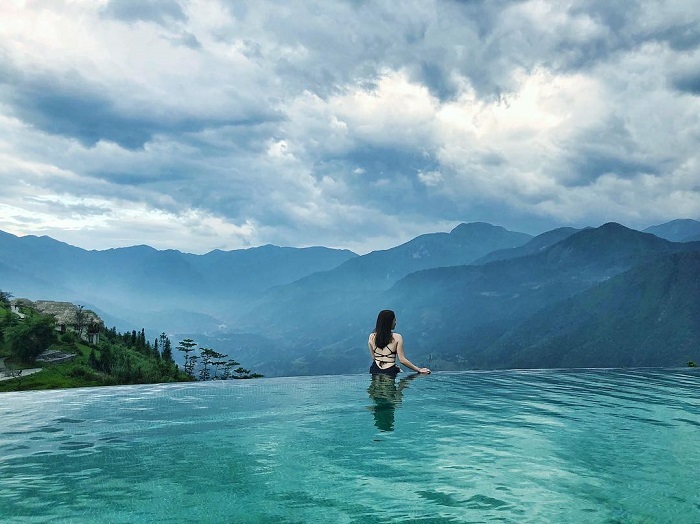 One of the favorite parts of the resort is an infinity pool with 95m2 square, complete with breathtaking views of the mountains and valleys. 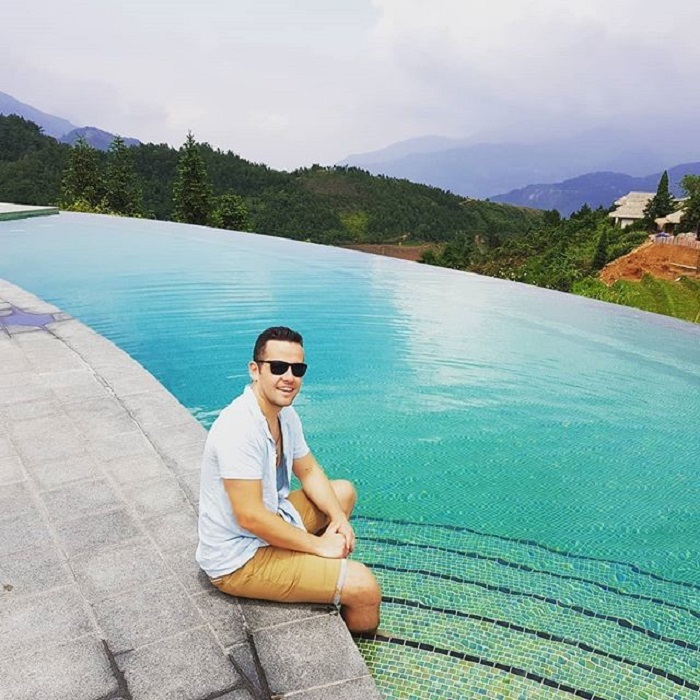 Tam Dao Belvedere is one of the most high-end luxurious resort in the North of Vietnam, with 48 elegant villas and suites, located in the most ideal place in Tam Dao Mountain, which is 50km from Hanoi. 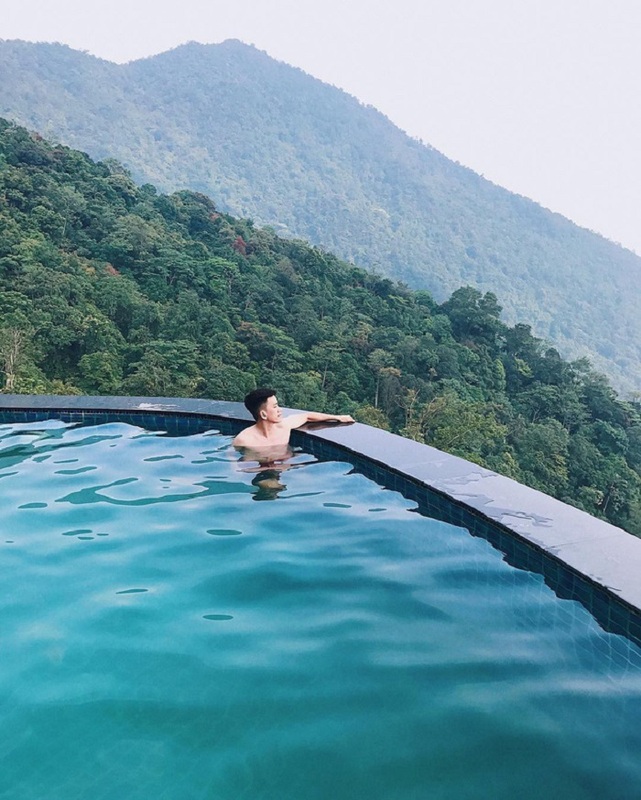 At an elevation of 1200 meters, surrounded by sheer cliffs and jungle, along with fresh, pure and cooling air, beautiful scenery, Tam Dao is an attractive place for both local and foreign tourists to relax and do research on rare animal. 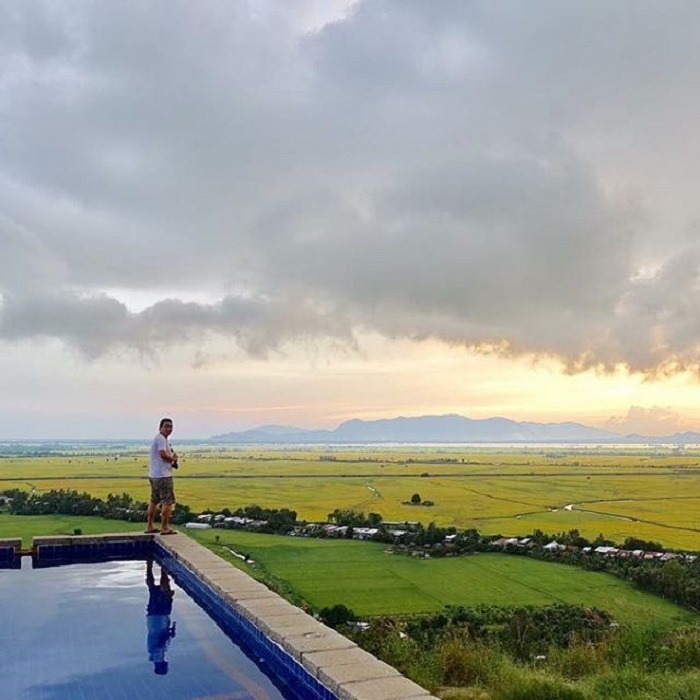 Tam Dao Belvedere is one of the resorts offering the best infinity pools in Vietnam with majestic panoramic views from peaceful beauty to attractive valley. Có thể nói Belvedere là 1 trong những resort tiên phong trong việc thiết kế bể bơi vô cực ở miền Bắc. Và cũng chính bể bơi này đã khiến nhiều người chấm điểm cộng cho khu nghỉ dưỡng này. Ngoài dịch vụ nghỉ dưỡng và bể bơi sẵn có, xung quanh Belvedere cũng có nhiều tiện ích nghỉ dưỡng khác như sân golf hay rất gần rừng quốc gia Tam Đảo. 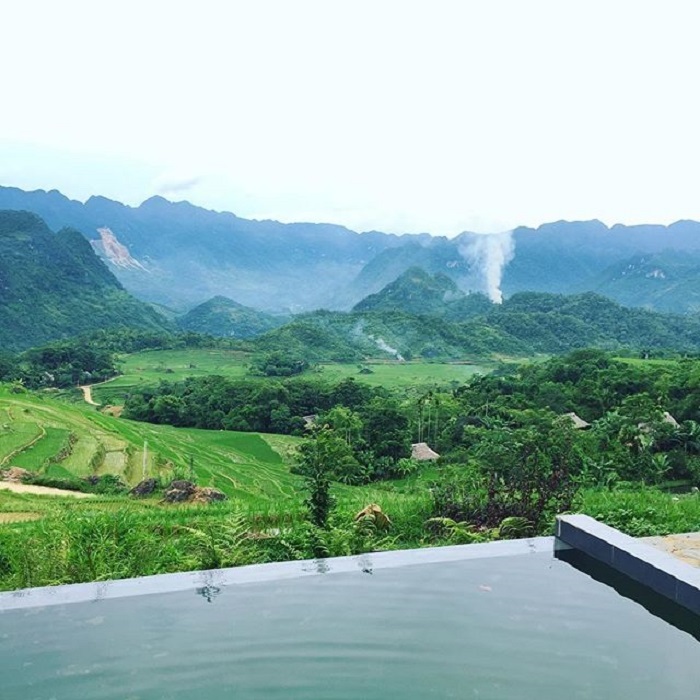 Puluong Retreat is situated in Pu Luong Nature Reserve, Ban Dong Village, Thanh Lam, Thanh Hoa Province. 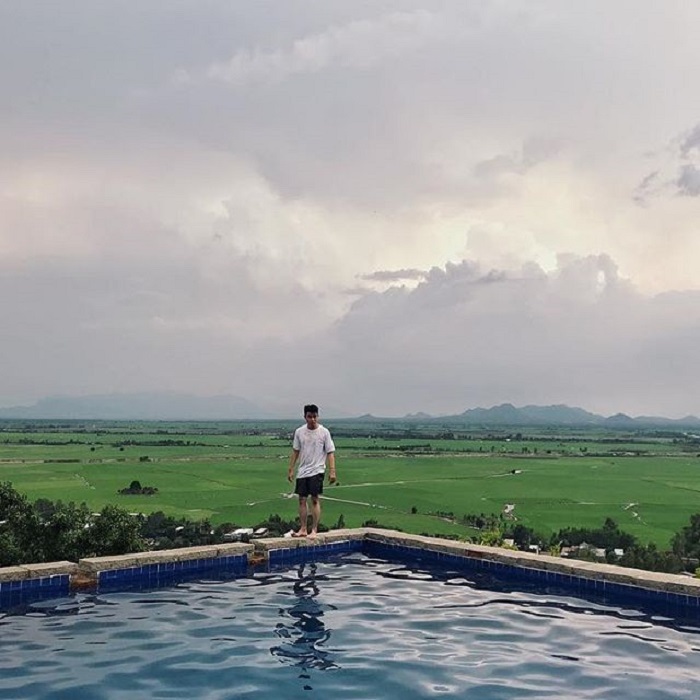 This ecolodge resort provide a refeshing escape from bustle city with the most stunning panoramic views in the area, magnificent mountain ranges, stunning rice terrae fields, scenic rivers and waterfalls, breathtaking mountain passes and remote traditional villages. The resort provides 9 comfortable bungalows, 1 traditional stilt house with 16 comfy beds, an open air restaurant with nice cuisine, infinity pool, spa area and rock garden are all at your disposal in Pu Luong Retreat to discover the hidden details, built by hand from the ground up, with meticulous attention. The original condition and the environment of the land are protected, as promised to the original landowners. 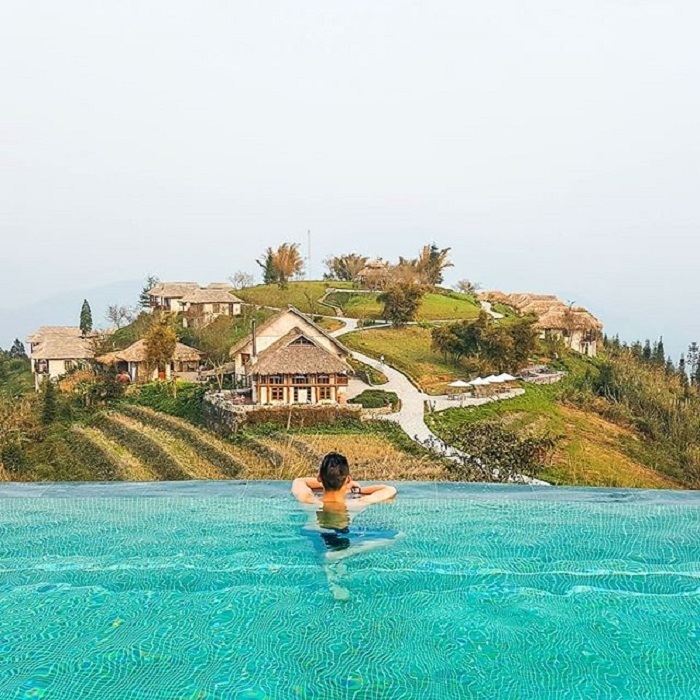 Original houses on stilts serve as the restaurant and bedding of Pu Luong Retreat, as well as the fishpond which is transformed into an amazing infinity pool. 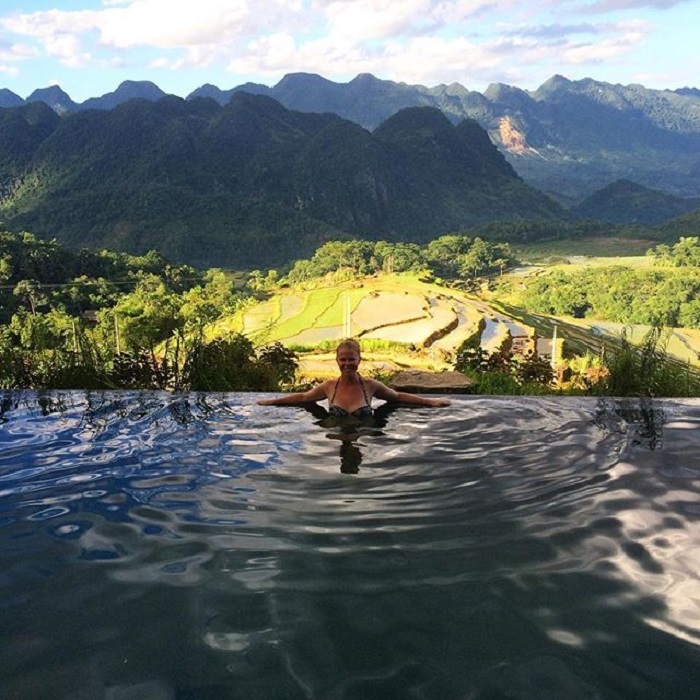 Housed in a hill-side French-colonial building and featuring a welcoming infinity pool against the ocean backdrop. 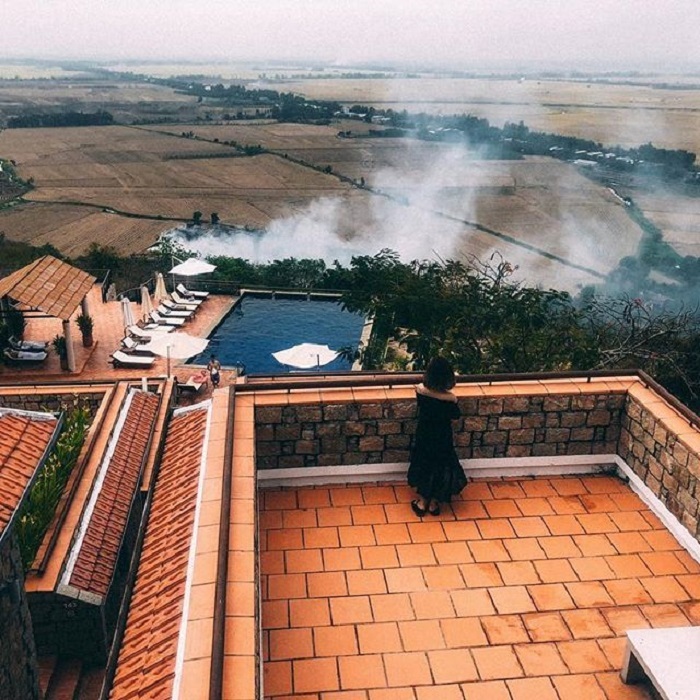 Leman Cap Resort is an excellent option for expats or mid-range travellers looking to escape Saigon for a couple of nights. A splendid infinity pool sits on a terrace overlooking the East Sea. Soft loungers lie under the shade of parasols and the splaying branches of a giant mango tree (whose ripe fruit drop onto the resort’s grounds, making a sweet poolside snack). The pool is big enough to swim lengths and there’s a shallow end for kids. It’s beautifully done, but there might be some noise disturbance over the next few months, because the resort is expanding to the land next to the pool. Located right on Sam Mountain, Victoria Nui Sam Lodge houses an outdoor swimming pool surrounded by the spectacular natural landscape. The property is about 7 km from Chau Doc Market and Chau Doc River, which offers accessibility to Cambodia’s Phnom Penh. Rooms feature canopy beds, cool tile floors and wooden furnishings. They are equipped with cable TV, a minibar and coffee/tea making amenities. The en suite bathroom comes with shower facilities, toiletries and a hairdryer. The French doors lead out to the private open-air terrace offering views of the calming nature.